Catherine joined the firm in 1994, fresh from High School. She spent eight years as our front line receptionist, before moving to Melbourne, Australia in 2003. She lived in Melbourne for five years, three of which she spent at corporate firm Minter Ellison as a Legal Secretary in their Disputes Resolution division before welcoming daughter Georgia in 2006. 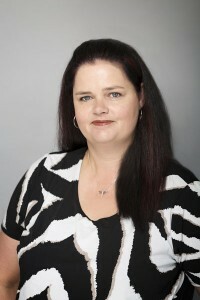 Returning to Matamata in 2008, Catherine rejoined the firm on a part time basis and shortly added to the family with the arrival of son Ryan in 2009. Catherine returned to full time work in 2012 and enjoys all aspects of her work, particularly conveyancing. In her spare time she enjoys motorsports, rugby, boating and watersports, reading and catching up with friends.